19 Mar 2014 - Thank you so much Kerry. It has been a pleasure working with your team! 18-August-2013 Dear Bay Rings, our rings arrived before Ipm which in it self was impressive. Our rings our truly beautiful and we are so impressed with their quality and fitting – the quality of the rings was so obvious from the moment we saw them nestled in their boxes. We are not love struck newly weds – we have been married for 42 years – unfortunately we lost our original wedding rings when our home was burgled 2 years ago – we had only taken them off as we were having them engraved to celebrate our 40th wedding anniversary which unfortunately under the circumstances we never did. Neither did we get proper reimbursement from our insurance company to replace our rings. However, we have now managed to do this – and we are so happy with them – they are engraved with our sentiments to each other which you also did for us and we will never take them off to be lost again. 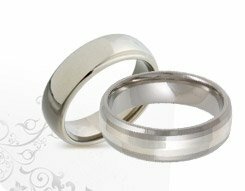 Thank you so much Bay rings – having our wedding rings has filled what I can only describe as void in our life. I received the ring today, thank you so much for all your help, have a great christmas and new year. 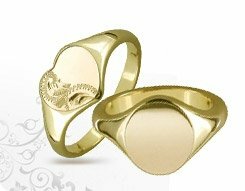 For all your hand engraving needs from a single initial to a full family crest at Bay Rings, we will make that special piece of jewellery even more special. 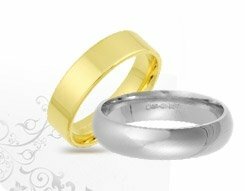 Our signet rings are hand crafted and individually hand engraved. 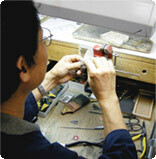 Whatever your choices are we guarantee you the finest hand engraving created by master craftsmen. Prices start from £45.00 for hand engraved initials to £199.00 for a family crest.